Zika virus is related to the viruses like Dengue, Chikungunya, and Yellow Fever Virus coming from mosquito bites. Zika is a newly discovered virus that causes alarm, especially to pregnant women because it can cause infection or Microcephaly which might lead to the baby experiencing Congenital Condition. According to World Health Organization or WHO, Brazil has the largest cases of Zika while it is also spreading in America. In a numerous experiment about Zika vaccines, several vaccine tests are made successfully on animals, and it is now set for human trials. The Director of National Institute of Allergy and Infectious Diseases Tony Fauci says that the several vaccines are nearly being ready. 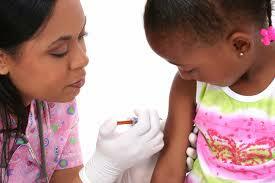 It is significant to prepare more vaccines at a time to have a backup in case of an unsuccessful result. There are so many uncertainties in vaccines according to Tony Fauci. Always have multiple backups so that there are reserves in the event of failures. Once those multiple backups succeed, all the better. Scientists are also doing experiments for the harmless bacteria coming from insects like bees and butterflies that according to them it might have a potential to stop the Zika from spreading to mosquitoes. Bacteria called Wallachia which can harmlessly infect the insects, but it can also infect the mosquitoes, Fauci said. It has two factors: It interferes the increase of mosquitoes, and it also does not allow the mosquito to transfer or spread the particular virus. Many studies in Australia are being done using these mosquitoes. Experiments will also be done in the United States and South America under the applicable control form. Scientists are doing the best that they can to find out the cure for the virus, preparing and testing the vaccines, and they are looking forward to beginning their first trial in August and transition into an active trial at the start of the year 2017. But scientists need more funds to continue the preparation. Money is needed to continue to advance in various areas, Fauci said. Like in Puerto Rico is in a state of vulnerability. One percent of the population is being infected per week, even if mosquito season is not yet at peak.